At the end of their tenancy, everyone is concerned about keeping the security deposit. Although moving out is linked with a bunch of arrangements, a comprehensive final cleaning is the main guarantee for a hassle-free transition. In case you are about to vacate your current property, our company is able to offer you a high-quality cleaning solution that ensures high standards of cleanliness. 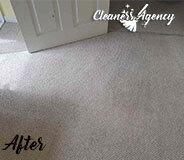 We are a stable and trustworthy cleaning company based in Beckton. Our mission is to deliver flexible and individualised cleaning solutions but mostly peace of mind. During our practice, we have assisted numerous tenants in the region. People choose us because we always deliver the promised quality. Our vetted cleaners possess the necessary profound knowledge to meet the requirements of every landlord. Ever since our company was established we have been collaborating with hard-working individuals, who possess the necessary motivation to serve our valued customers. Despite our success, we continue searching for new ways to offer even better service. This involves regular cleaning training and the use of up to date cleaning equipment. 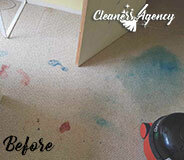 Our cleaners have the necessary skills and cleaning arsenal to deal with every persistent stain. Once in your property, they will clean deeply every room, sanitise all floors, wash the windows, dust all surfaces, mirrors, sockets, skirting boards, doors, etc. For your peace of mind, our cleaning checklist includes also hard-to-reach corners. We are fully aware of the fact that landlords and inventory clerks search for dust in unsuspected places. When you choose our company in Beckton, you choose for professionalism, reliability and the most important for a hassle-free moving out. Our end of tenancy cleaning has a 48-hour guarantee. If there are any issues during the inventory inspection, don’t miss to inform us. We will send our cleaners back for a re-clean. Although many of our clients are tenants, who would like to keep their security deposit, we are serving also landlords and letting agents. Our skilful cleaners are able to restore the initial cleanliness of every leased flat or house. They are ready for action 7 days per week in Beckton. Contact us and you will hear also about our discounted rates. These fellows are flawless. Thanks to them I was able to leave on good terms with my landlord and keep the security deposit in full. I have no words to express how happy I was with the outcome. I would not turn to another company ever again, this is for sure. If you are trying to spare yourself the physical exertion and somehow be on top of every cleaning chore, then you can always call Cleaners Agency London and book one of our various cleaning services. We are a London based cleaning company with a lot of experience in the cleaning business which gives us the confidence to tackle even the biggest mess with ease. You can be sure that any need of yours will be satisfied and we will pay special attention to every detail in order to provide the cleaning service with the best quality. 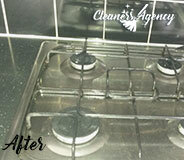 We always use professional cleaning equipment and products which always help us to achieve fantastic results. We hope that you will trust us and book our help. We won’t disappoint you and we will work diligently to prove you that we are the only cleaning company in London that can satisfy every single one of your needs and provide such high-quality cleaning services. Cleaning is not your strong suit but now you do not have a choice because you want to collect your check-out deposit? Actually, you have a choice. 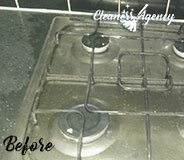 Actually, booking our end of tenancy cleaning service is your best choice. We are a reputable cleaning firm with plenty years’ experience in the cleaning field. We promise you we will do anything in our power to help you get your money back and leave on good terms with the proprietor. You do not have to stress over the moving out so establish a contact with us right away. We will send a team of professional cleaners who will do the cleaning in a quick and efficient manner. With a long-standing experience, they know how to work in an organised manner and cover every area of the home. They place great importance on your satisfaction so they will do anything to suit your requirements. We operate in the entire area of Beckton and you can get in touch with us any day of the week. If you need us for a weekend appointment, we will come to the rescue, too. With us, you can never go wrong and we ready to prove it to you.